Do you have a clear purpose of what you want to achieve when you step foot in the gym? As an athlete you must have a clear vision of what you want to achieve in addition to an effective training blueprint to help you achieve those goals. In order to become a better athlete you must specifically train the performance components that you want to develop. 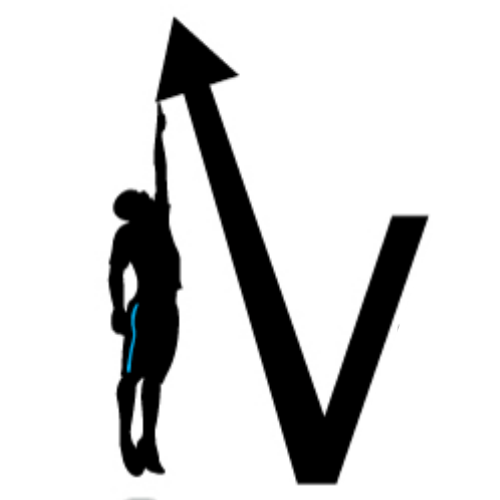 Here at Vertical Jump World we are all about helping our readers obtain explosive power with the ultimate goal of jumping higher. Specific vertical jump focused weight training is the key to a truly explosive vertical jump. Let's take a look at exactly how you should lift weights to improve your jumping abilities. Power: The Blueprint To Becoming A More Explosive Athlete Who Can "Jump Out The Gym"
Understanding the concept of specificity of training is vital, particularly for those of you who want to improve performance and become a stronger, faster and more explosive version of yourself. If you fail to train with specificity you are likely to be spinning your wheels in the gym, and therefore will be unlikely to see any in-game performance results. Let's take an athlete who wants to improve their max strength for example. 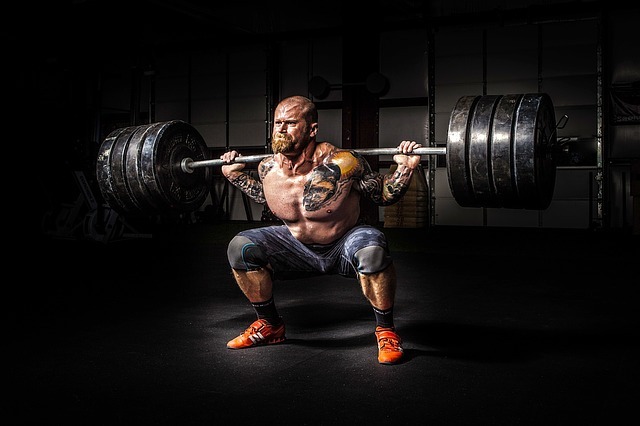 If this athlete was to spend his training time lifting low load, high volume weights combined with extended endurance training sessions it is unlikely that they will see any significant improvements in strength. With this approach the athlete will never reach their max strength potential. They will simply get better at lifting a light load many times. If this same athlete was to specifically train with an effectively prescribed strength training protocol that specifically emphasizes low rep, high load training with a limited endurance component they should see marked improvements in max strength. 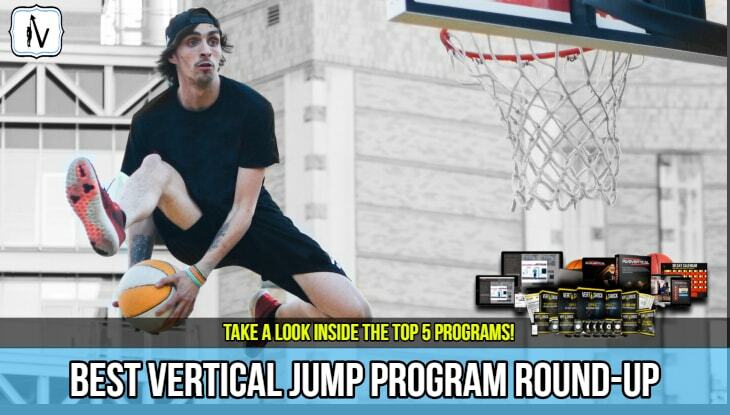 In order to maximize your athletic potential the vertical jump training program you choose to adhere to must be specific not only to your sport, but to your individual abilities. From this point you must increase the training loads over time and you must train often enough not only to keep a de-training effect from happening but to also force an adaptation. Out of the six performance components listed above that an athlete could potentially develop, the most desirable traits are often improved strength and power. A strong and explosive athlete is often a dominant athlete. Let's take a look at how you can specifically train for improvements in these 2 popular performance components. Pure power and explosive ability can transfer over to improved sports performance in a range of different sports. By becoming more effective at producing power you can produce more force in a shorter period of time allowing you to run faster and jump higher. Power is best thought of the product of equal parts strength and speed. 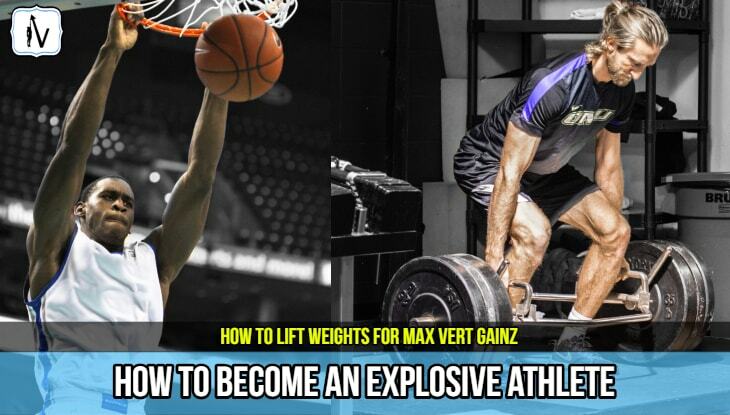 NBA athletes for example, rely on explosive power to allow them to rise up to dunk a basketball or grab a rebound. NFL athletes rely on power to help achieve max acceleration and running speed. In order to become super powerful, pro athletes use a combination of olympic lifts, ​vertical jump training and plyometric training. The basic principle behind power training is to help the body become more effective at producing a higher rate of force development (RFD). The ability to generate high levels of force is dependent on how efficient the athlete is at recruiting high-threshold motor units. In order to develop power you need to develop a spectrum of specific attributes. To build power you need a multi-faceted approach, dedicating time to exercises that allow you to move a load at a fast speed. Don't forget the importance of specificity when training for improved power! This power exercise you choose should replicate the movements of your specific sport. Exercises that develop power through triple extension (extension of the ankles, knees and hips) are an excellent choice for most athletes who want to increase their vertical jump. Remember: Power is a combination of strength and speed. Power training exercises help you learn to move the bar fast and develop the speed component with less of an an emphasis on the strength side of the equation. If you truly want to dominate your sport this season please don't underestimate the importance of max strength development. The protocol used to develop max strength can be very different depending on an athlete's experience level and a number of other physiological variables. For example an experienced weightlifter may be best suited to following a training program of 5 sets of 3 reps at around 85% of their one rep. Experienced athletes have built a strong musculoskeletal foundation that can withstand the demand of heavy loads. These experienced trainers have also established efficient motor patterns in certain lifts that allow them to maintain a safe body position under load. A high level of loading may be well tolerated by an experienced lifter, however the same load would likely lead to injury if applied by a beginner athlete. The good news is that a novice lifter may see rapid gains in strength by undertaking a regular weight training program at a much lighter load. In this case, 3 sets of 8-12 reps at around 60-70% of their one rep max would likely derive excellent results. Ultimately the goal of strength training is to lift the heaviest load possible without sacrificing form or safety. Take your time to ensure form is perfect before adding load. Remember to keep your ego in check when strength training. Achieve full range of motion through the exercise before adding further load. Don't be that person in the gym loading up the bar with 20's doing quarter squats. Compound exercises have been shown to be the best form of exercise to jump higher. Compound exercises utilize more than one muscle group during the movement and provide excellent carry over into real-world sport specific functionality. For example, a barbell squat is classified as a multi joint compound exercise because both the hip and knee joints are working to execute the movement. In turn, the barbell squat works several muscle groups, including the glutes, quadriceps and calves just to name a few. ⦁ Bulgarian Split Squat (Great exercise for developing uni-lateral leg strength through a wide range of motion. Excellent choice for athletes who want to improve their sprinting speed and single leg jump. ⦁ Deadlift (The ultimate exercise for building strength in the posterior chain. Developing strength in the deadlift provides positive carry over into many athletic maneuvers. Combine the deadlift with contrast training (more on this shortly) to derive massive gains in explosive ability. After investing time into mastering compound movements such as the ones listed above you will find that the muscle groups fire in a pattern that produces maximal contraction and subsequent strength output. Significant strength gains can be made through compound training. When training as an athlete don’t waste your time on isolation exercises such as barbell curls. Simply focus on raising the ability to lift as heavy of a load as possible in compound movements. The stronger you become the greater your ability to produce power, assuming that you develop or at least maintain the speed component of the Power= Force x Speed equation. Once you have established a foundation of strength you can start mixing in more ballistic power based movements and plyometric exercises into your strength session. Combining strength and power based exercises is what is known as contrast -training. Contrast training is the secret to rapidly increasing your vertical jump height. 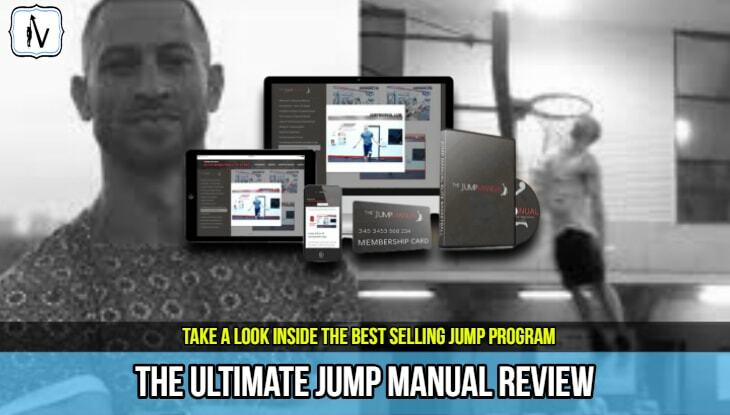 Jump programs such as The Jump Manual do a great job of combining strength and plyometric training to produce explosive results! If you are wondering what sort of results are possible with a 12 week hybrid jump training program (strength + power training + plyometrics) then make sure you take a look. The main goal of contrast training is to undertake a strength-based movement such as a squat followed up by an explosive movement such as a sprint. The theory behind contrast training is that the strength exercise will potentiate high-threshold motor units which will allow for greater performance outcomes produced in the follow up explosive component. When performing contrast training the total time under load during strength work should be very brief. Around 2-4 reps of heavy load is sufficient. This is then followed by a brief 10-20 second rest period before continuing on with the explosive exercise of choice. The explosive exercises should also be of a short duration. For example 3 max box jumps or a 30m sprint is sufficient for one set. In these contrast training sessions you will be undertaking numerous sets, somewhere in the range of 5-8 usually works well. 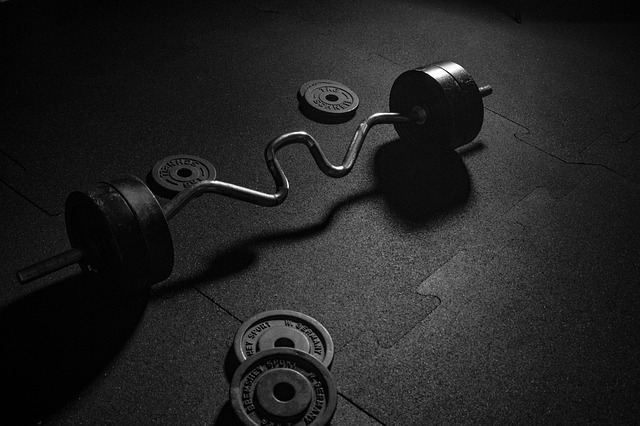 Take your time between sets and focus on producing max effort with each rep on every exercise. Don't just go through the motion and don't treat it as a cardiovascular exercise. You should not be huffing and puffing when training to become a more explosive athlete. Recovery in between sets is key to successful contrast training. Longer recovery sets optimize the hormonal environment and replenish the energy producing molecules within the muscle cells. Keep your exercise intensity at 100% and no less. However that intensity is only maintained for a few seconds, if you are feeling a lactic acid burn your sets and reps are of too long of a duration. This is not a metabolic conditioning style workout and therefore should not be approached as if it is a cross-fit circuit. Training for explosiveness involves stressing the neuromuscular system to the point in which it adapts by increasing motor unit recruitment and rate of contraction in the targeted muscle. One of the easiest ways to improve your ability to jump higher and run faster is to lose excess subcutaneous fat. If you lose weight while maintaining strength and power producing abilities you will feel drastic improvements in your in game performance. Most pro athletes optimize their strength to weight ratios by obtaining a body fat percentage of around 6-12%. Ultimately, you want to follow an eating plan that you can maintain long term. The timing of food is also very important. Personally I love to eat the majority of my daily calories around training times and tend to think of food as fuel. This mindset allows me to stay lean while performing at my best. Including foods containing protein at meals and snacks to help manage appetite and reduce muscle loss. When dropping excess weight it is vital to maintain lean mass. Losing muscle mass will likely lead to a decrease in total strength and power. At the end of the day, simply by eating more vegetable and lean meats while limiting high energy foods (e.g. soft drink, chocolate, take-away, desserts, alcohol, etc)you will probably see a significant reduction in body fat. Just keep it simple. Have patience, eat well and keep training hard and you will lose weight. To become a more dominant athlete you must train with specificity. In order to determine which specific exercises you should apply to your sessions you must first identify you strengths and weaknesses. Do you have stability or flexibility issues? The fastest way to improved performance is brought about by acknowledging and developing your major weaknesses. Unlike when training for cardiovascular endurance improvements it is vital that focus is placed on quality of an exercise rather than quantity. If you are a beginner start with the basics. Just improving your strength with exercises such as the squat and deadlift combined with shock training with shock jumps can produce great results in a short period of time. Over time, as you become a more experienced lifter you can start adding in complex training routines, contrast training and olympic lifts to help boost your in game performance. Choose the correct vertical jump training exercises, start to train with specificity and purpose in the gym and you will dominate your sport.